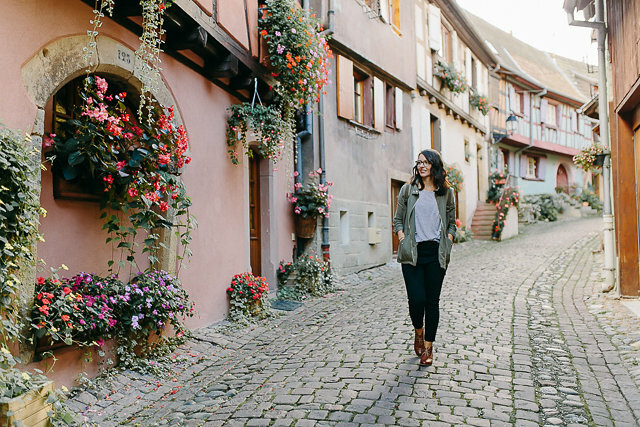 Colmar is located in the Alsace region of France and it really feels like one big fairytale town. The houses and shops in Colmar are all intricately decorated. It’s nice to see how much effort everyone seems to put into these things. You’ll find yourself constantly looking up for beautiful architecture details, or particularly lovely flower pots. Here’s a little more of colourful Alsace. From Paris, Colmar is 2:30 hours by train. From Strasbourg, the trains leave each half hour. The one way ticket price is 10-15 Euro. In 35 minutes you will be in beautiful Colmar. It’s also close to Switzerland and Germany. We booked our tickets here at SNCF. So Where Are You Actually Going? 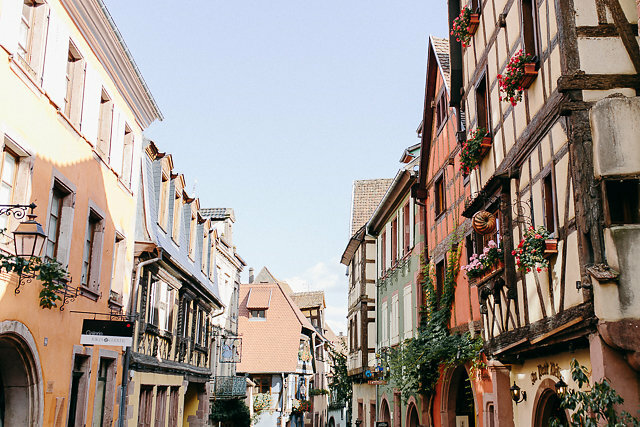 I stayed in Colmar and did little trips out to the surrounding towns on the famous Alsatian Wine Route to Eguisheim and Riquewihr. On our way back home we stopped in Strasbourg for a few hours. The most beautiful area in Colmar is definitely Petite Venise. But you have to go to beautiful Eguisheim as well. It has it’s own charm with a local market, handcraft, decoration and lot’s of good food. 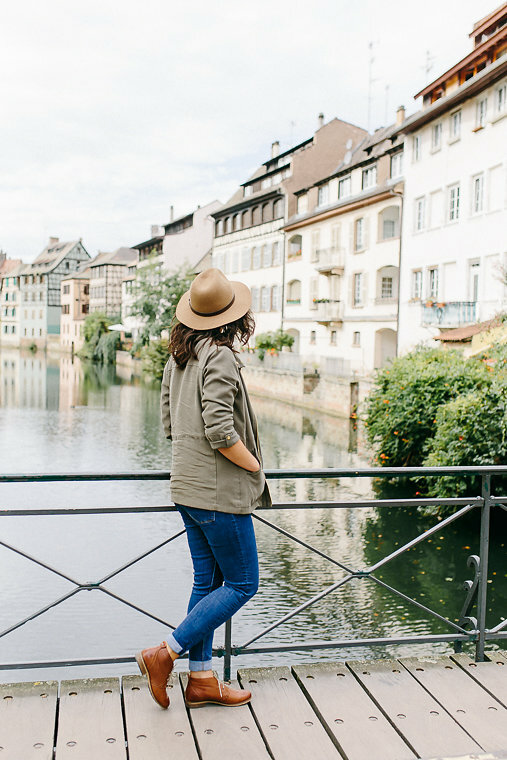 If you have more time, do a day trip to Strasbourg. The wonderful old town of Strasbourg is called Petite France. We spent one weekend in October in beautiful Alsace. Colmar isn’t that big and you can easily explore it just in one day on foot. Eguisheim and Riquewihr are even smaller. 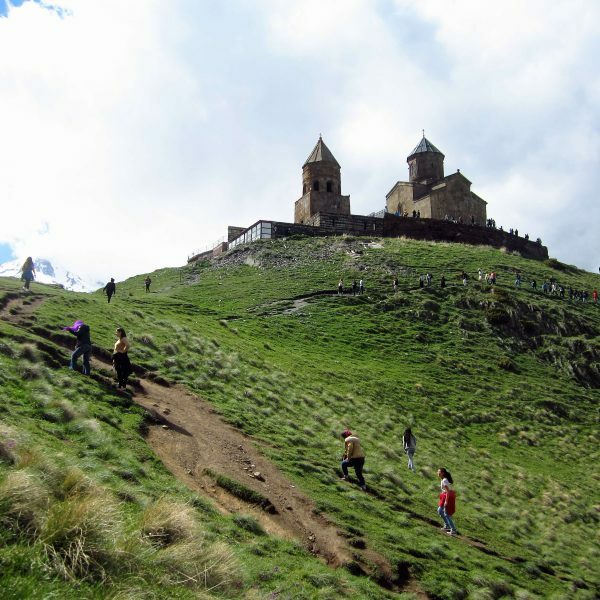 In my opinion a visit of about 1-2 hours per village is enough. Both villages are not too far; you will get there in 20 minutes from Colmar by car. 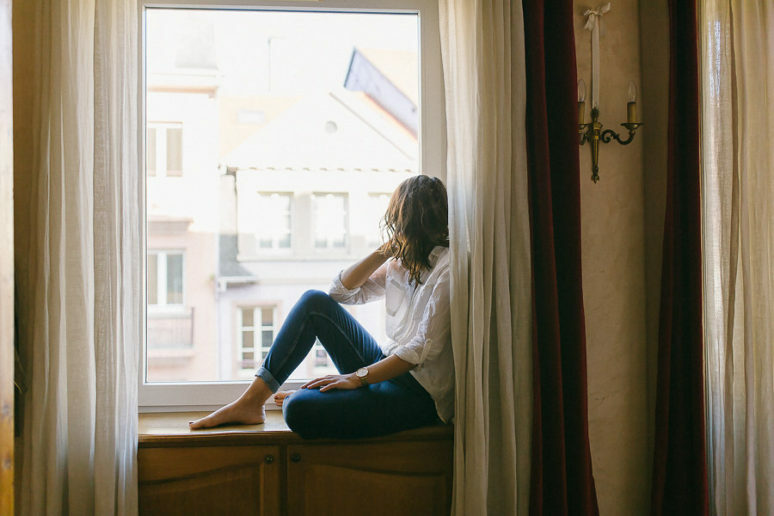 I stayed two nights in Les têtes in Colmar, and I would totally recommend it. It’s a typical timbered house located in the centre of Colmar. On the opposite side of the street from this cozy place you will find the Hansi Museum. Inside you will find the Market l’Oncle Hansi, where you can buy traditional sweets for yourself, or to take them home with you as a gift. They have lots of local products and souvenirs. You can park your car at the car park Scheurer-Kestner Est. There is no parking fee on Sundays. Alsace will try to charm you not only with all those pretty houses, but with mighty fine local cuisine, too. A tarte flambée is a must! Bretzels are sold everywhere, and you’ll even find a Bretzellerie in Eguisheim. You have to taste the amazing gingerbread, the yummy crepes, and delicious cheeses! I had the most delicious cake at the Patisserie Christian. 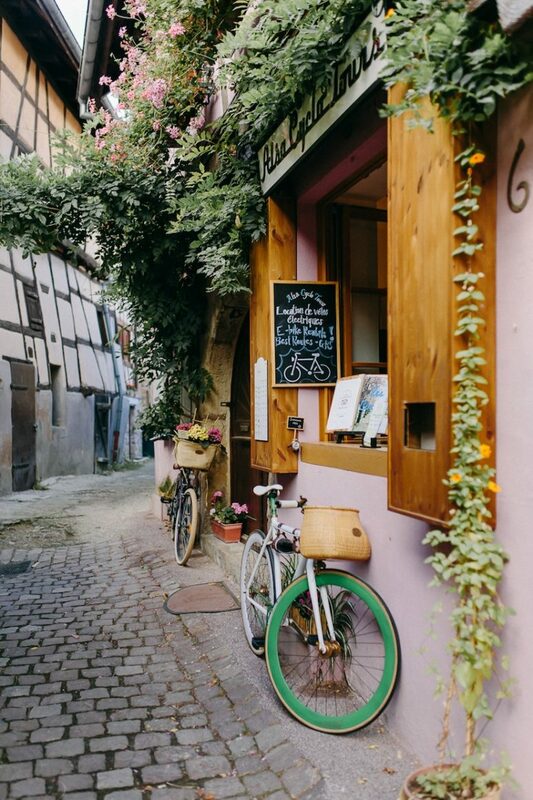 This is such a special, creative place – just a few minutes walk from the main old town attractions in Strasbourg. It’s the best cake shop in town. When you enter, you’ll just know it. 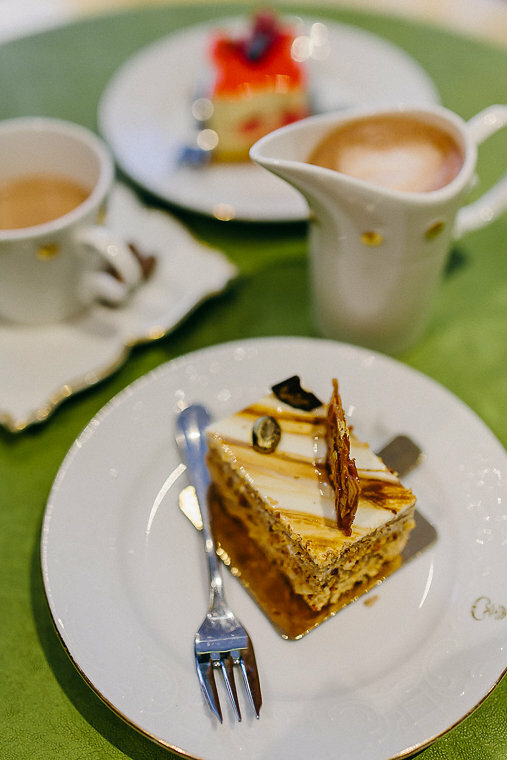 Patisserie Christian is definitely a must try when you are in Strasbourg. On you trip you can do wine tasting as well. Alsace is well known for some of France’s best white wine. 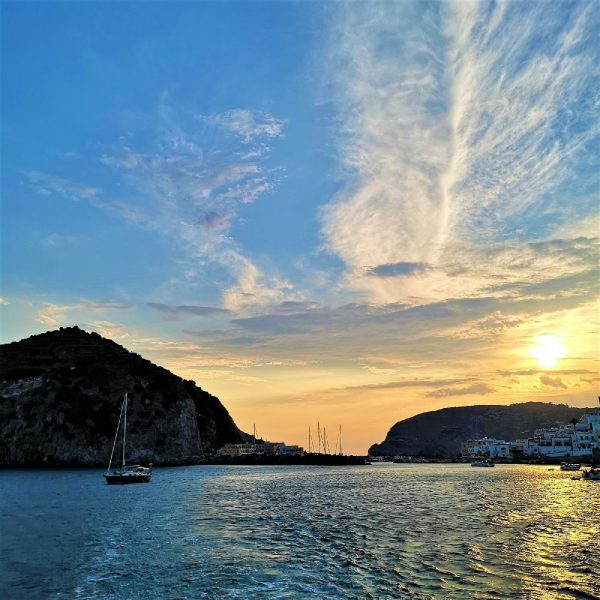 These are some hot spots for wine tasting for you to try. Santé! I visited Alsace in October. In the fall you’ll not only find the colourful houses, the trees also change their leaves in the most beautiful autumn colours. But in my opinion every season is a good season to go to Alsace! Riquewhir is best known for his dreamy Christmas market as well. There is even a boutique that is specializes in selling handmade Christmas decoration items. You can visit this Christmas Wonderland in winter as well as in summer. 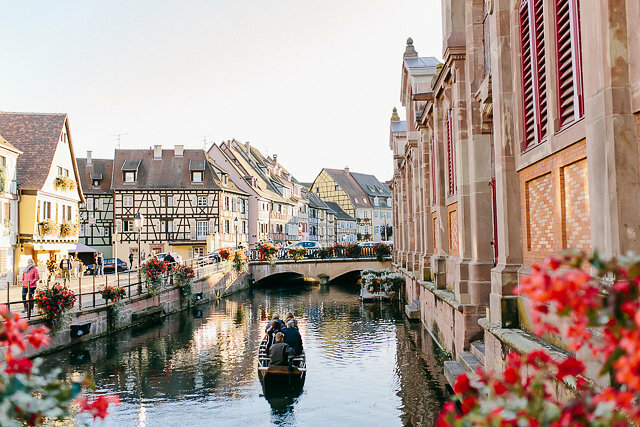 Have you been to Alsace or another charming region in France? Please share your experience in the comments below! Beautiful! I spent a day in Strasborg a few years ago. Colmar looks just a spectacular. Thanks for sharing! Thanks for reading and commenting Megan! Thanks for reading Anne, I bet it was a wonderful place to live! 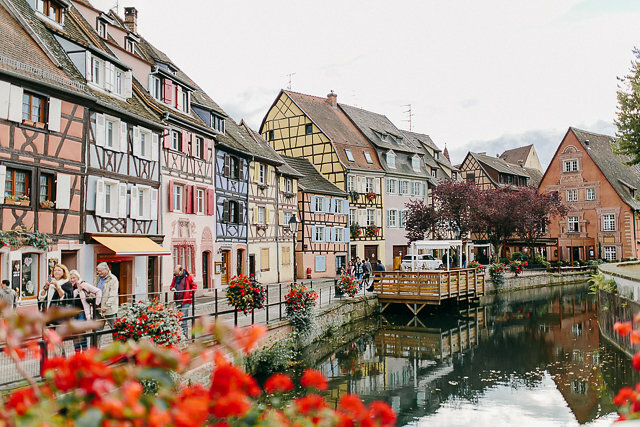 I’m so excited to be heading to Colmar for Easter! It looks like such a dreamy town and I’ve heard they dress it up for Easter too! 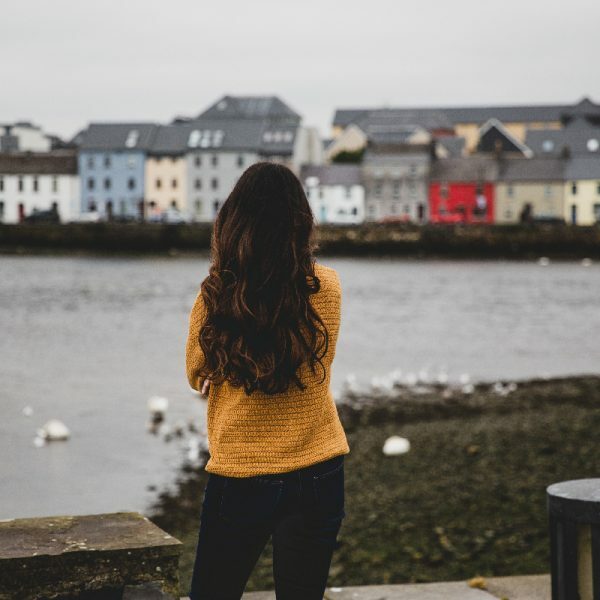 Absolutely love all the photos and tips in this post!